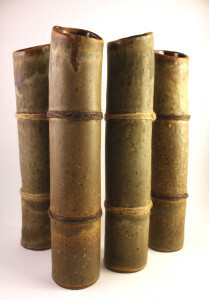 Extruded tubes of clay finished with rings of jute. The idea was to present a bamboo look and feel with an obvious clay feel. These pieces look best in groups of three or more.